From the Author: One of the most miraculous experiences for me as I worked through great loss was finding out that we are loved - and accepted - so fully, so completely that there is nothing left to forgive! This is true for all of us, and that is why I'm sharing my story, because the challenges I've faced are universal. We all have our mountains to climb, both inner and outer. No one is exempt. Life is a school, and what we learn through that school are the lessons we are ready for, things we could not really know until we lived through them. I'm talking about experiential knowledge, not just head knowledge. "They" say you don't really know something until you become it. "They" are right. And that is how I found out that relationships change, but they do not end. Physical death is definitely not the end of the story. Our trials and tribulations are so rich with promise. It may not seem like it at the time, but they are. Nothing is ever wasted. 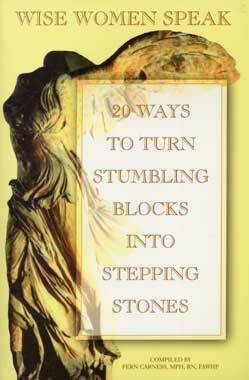 The potential for growth - and new life - is hidden in even the most difficult of situations. Especially in the most difficult ones, because all things do indeed come bearing a gift, if we can just hang in there long enough to find it. It helps if we can accept and embrace what is. That means being open enough to let go of judgment - of yourself, and others, and even the challenge itself. That means letting go of our expectations so we can be open to the higher plan. Surrender fits well here. Not my will, but Thine. Eventually you find out that your life isn't just about you. It's about all of us. That means wanting for others the same things we yearn for so deeply. May we all be blessed. It's been quite a journey. The more I've learned, the more I realize that life isn't about "things." It's about being your highest and best. An EXCERPT of the book is located here. ACCOLADES about the book are located here. INFORMATION about Donna Miesbach is located here. ORDER YOUR COPY TODAY at this link. The KINDLE link is located here. The NOOK link is located here. Available for shipment now. To order more than 4 copies, please contact the author at dmiesbach@cox.net for S&H. There are times when one can see beyond the veil of illusion to deeper truths that lie hidden within the heart. At times such as these, we are allowed to reach into a larger context and glimpse the Divine Hand at work in our lives. Such moments of inspiration offer insights into our human struggle and our yearning for divine companionship. The rich voice of Nature often speaks in such moments, revealing both the beauty and the wonder of her great, creative spirit. If one follows these silent inner leadings, they just may lead to moments of quiet inner communion with That which can never be spoken but which can only be experienced. 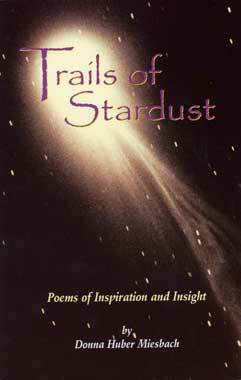 It was out of such moments that these poems came into being. I offer them to you now as gifts from that place beyond time where only the heart can enter. 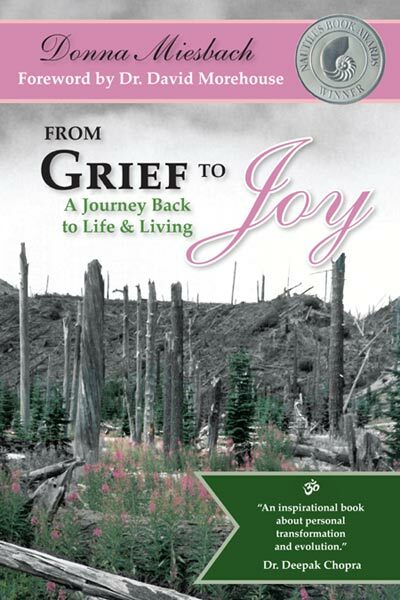 Through her husband's sudden death, Donna learned it is possible to break through the veil of sorrow and into the light of joy. This discovery began an amazing journey that not only set Donna's spirit free, it opened doors the likes of which she had not even dreamed. Where were you on That First Christmas? Could you have heard the angels sing, or followed a star to meet a King? This charming Christmas book engages your child’s imagination while following the biblical story of Christmas to the manger, where your child learns that the Christ child was a gift for everyone and is the best Christmas present of all. That First Christmas begins with a charming poem inviting the reader to imagine having played an important role in Jesus' birth. It introduces how each character was important to the Christ Child and asks which part the reader would have most wanted to play. The poem is followed by a children's interpretation of the Gospel of Luke and is written with the sense of joy and excitement they would have experienced if they had indeed been a part of the miracle. That First Christmas is illustrated using colorful digital photographs of diverse children, animals, and biblical settings so that every child can picture being a part of the story. The book is 48 pages. 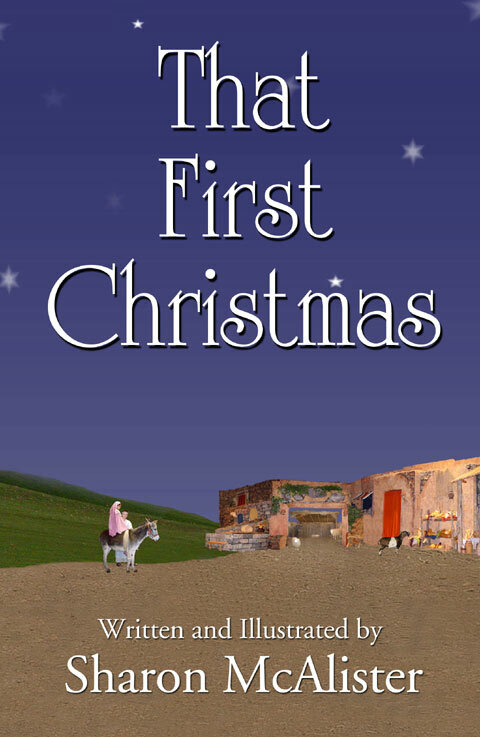 Please visit www.thatfirstchristmas.com for more information including sample text and illustrations.